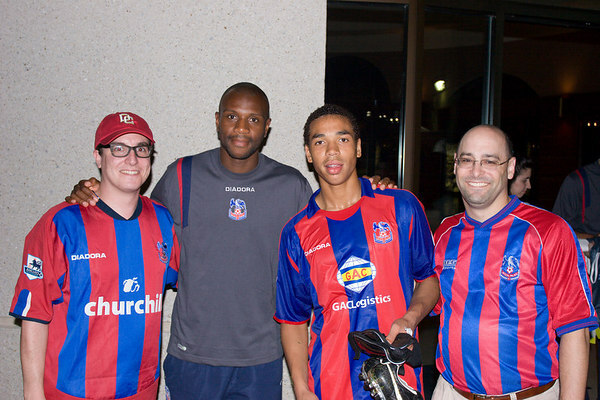 Emmerson Boyce and Lewwis Spence flanked by Michael Phillips and Paul Crystal (yes, that's really his surname! ), friends of yours truly from Washington DC who kindly (and foolishly?) allowed me to brainwash them into supporting Palace several years ago.